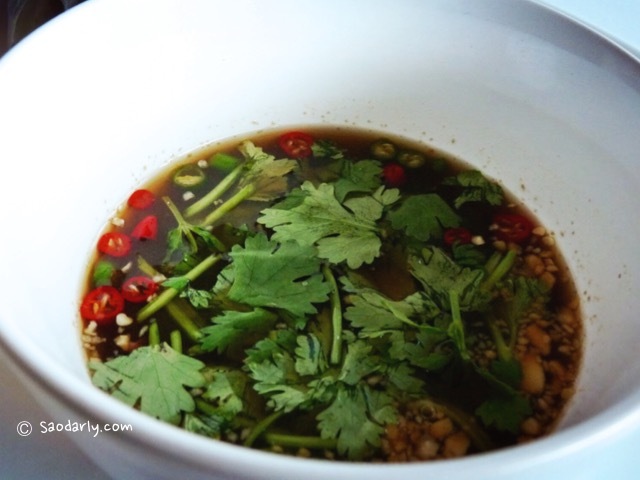 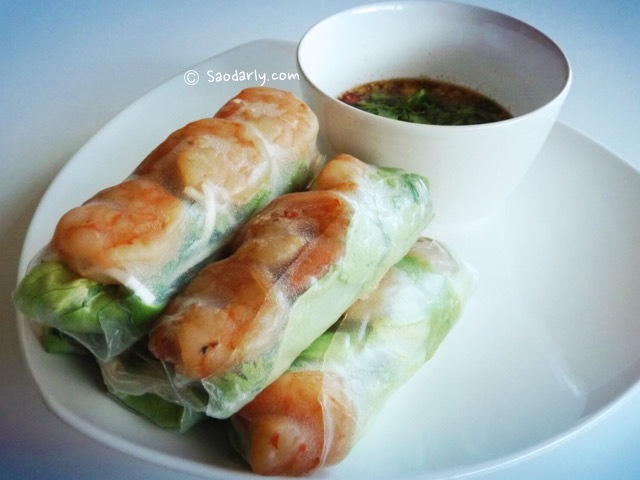 The sun has been shining the past few days and what a better reason to make one of my favorite Lao Food dish, which is no other than Fresh Spring Rolls. 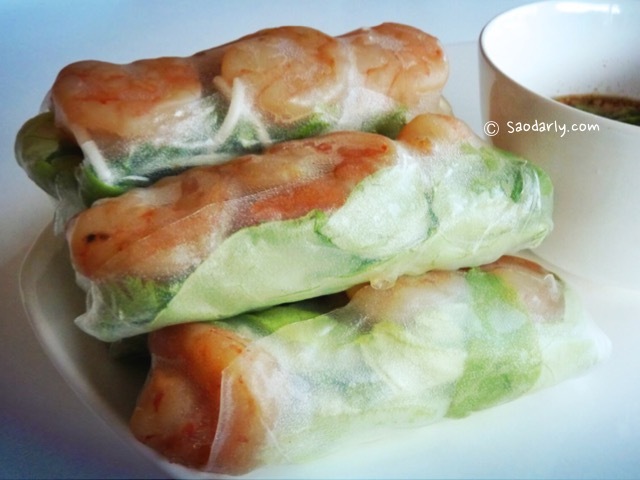 Some of my relatives like to have pork or beef in their Fresh Spring Rolls, but I like to have shrimps or prawns stuffed in the rolls with plenty of herbs and vegetable. 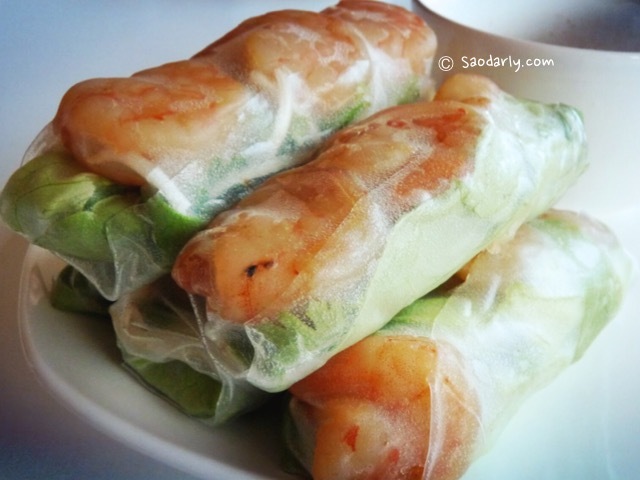 When the weather is nice and sunny in Holland, I like sit in the garden and enjoy my fresh spring rolls while watching the birds and the bees.